The whole history of my car is not entirely known - but some information was given to me by Richard, the second owner of the car, who bought it at an estate sale. He found it under boxes sitting on 4 flat tires . He poured some fresh gas in it and drove it home and brought it back to life. On the right you can see the first picture I took when the car arrived. 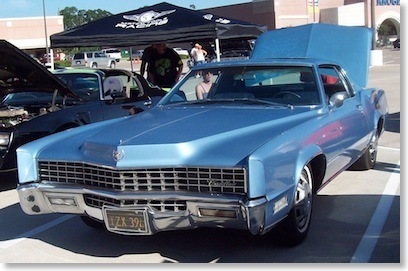 The Eldorado was bought new in Wilmington, NC at „Rippy Cadillac“. The original owner lived next door to the people that owned the Cadillac dealership. He used to buy a new RWD Cadillac every 2 years and didn´t really drive the Eldorado - thats why the mileage is so low and the car is still basically untouched. I knew about the car for some years before I bought it, as I´m always in contact with the seller - a fellow Cadillac and Lincoln collector from Wilmington in North Carolina. I asked him to sell me his car for years and he never had any intention of selling it, before he eventually decided to let it go to a good new home - a fact which was very important for him. In March 2009 we finally fixed the deal while chatting via Facebook and the car was shipped to Austria via Charleston, SC and Rotterdam, NL... Thank you Richard for selling it to me - you know I will take good care of it! When my Cadillac addiction in the 1990s began, strangely enough I could not stand the 1967 Eldorado and never was very fond of them. They just did not look like the other big Cadillacs with fins I was used seeing. I only knew these 67 to 1970 Eldorados from books and pictures and never was really interested in them. In 2001 I saw one in real life for the first time at the Cadillac Meeting in Zurzach / Switzerland and immediately fell in love with it... From this moment on I wanted one badly. When I got the car it was still in completely original condition, except the tires and the battery, including the factory applied paint which looked great from a few feet away, but upon closer look showed its age. Technical wise it needed quite a few things, as it is very important for me that everything works as it should. Over the last few years I did a lot of repairs to make everything work again. In the fall of 2017 a 6 month long full cosmetical restoration began, which was finished on May 9th 2018. During this restoration all the rust on the body was fixed and the car got a new paint job in Atlantis Blue Firemist which was an optional 1967 Cadillac Color. Normally I´m not a fan of changing a cars original color, I would eve say it normally is a "no go" for me, but this time I decided to do so for various reasons. Click here to see why I changed the cars original color. You can read everything about this cars restoration here - and see a HUGE image gallery with 600+ images of the restoration work done in this gallery. This is the very first picture I took when the car arrived. 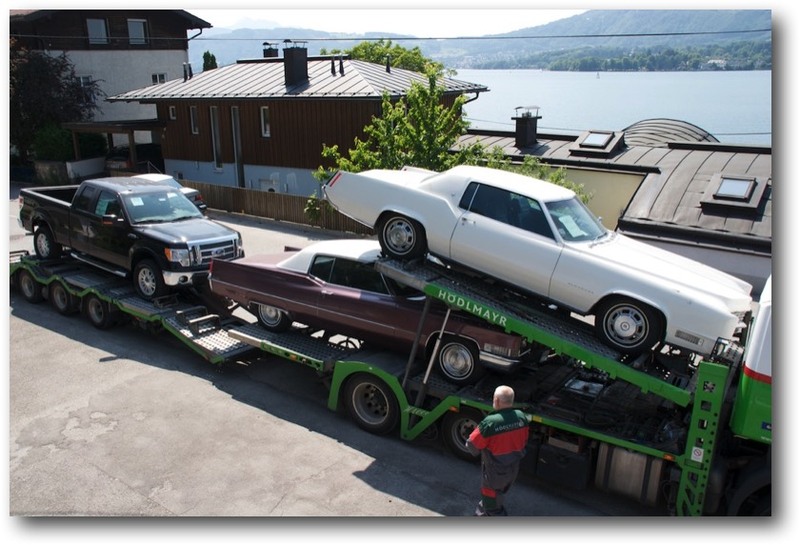 Back in 2001 this exact car at the Cadillac Meeting in Zurzach/Switzerland was responsible for my 1967 Cadillac Eldorado love affair. It is owned by Danilo Carrar. 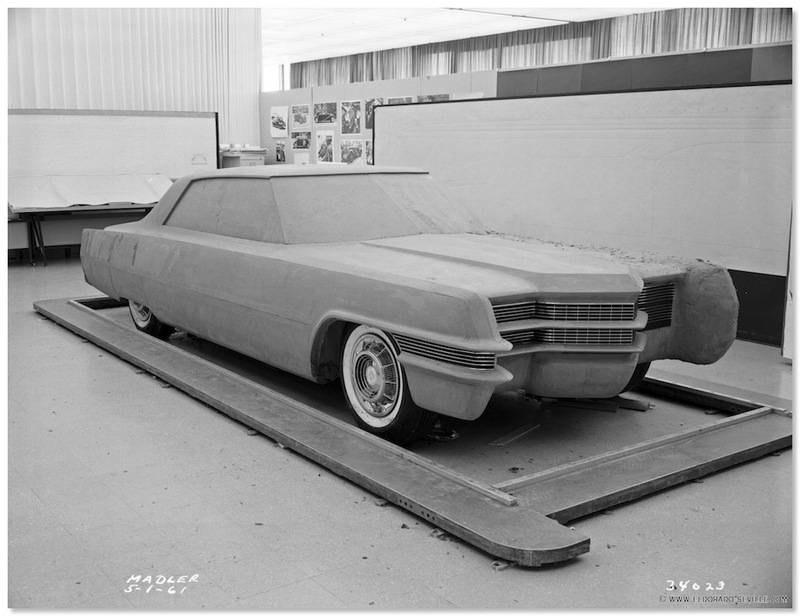 THE DEVELOPMENT OF THE 1967 ELDORADO - PROTOYPES - CLAY MODELS . Thank you Mr. North for taking the time to read my article and for the invaluable feedback! As it happened, Cadillac began experimenting with front wheel drive during the Brougham years. But though a running chassis tested in late 1959 looked promising, FWD was still a relative novelty and by no means proven. 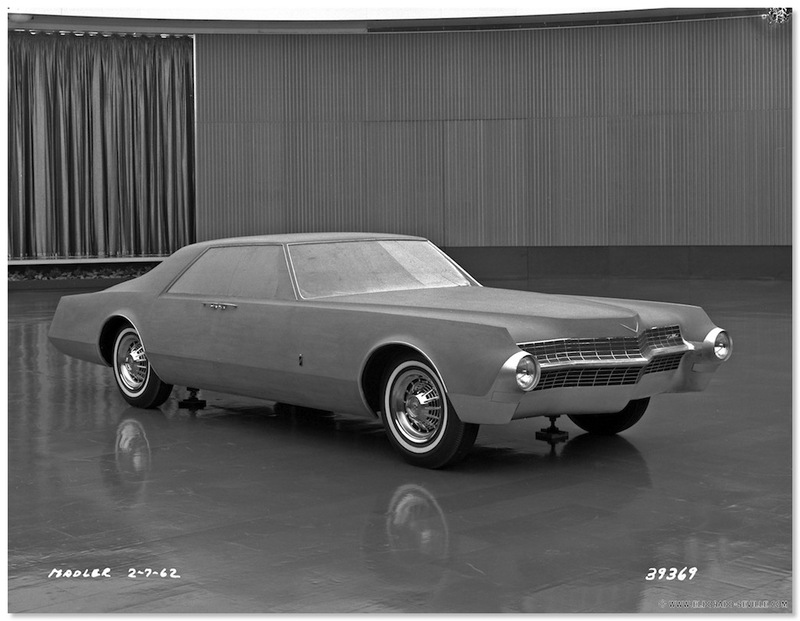 Thus, when General Motors stylists began sketching a "new Brougham" that October, they devised shapes adaptable to either front or rear drive. 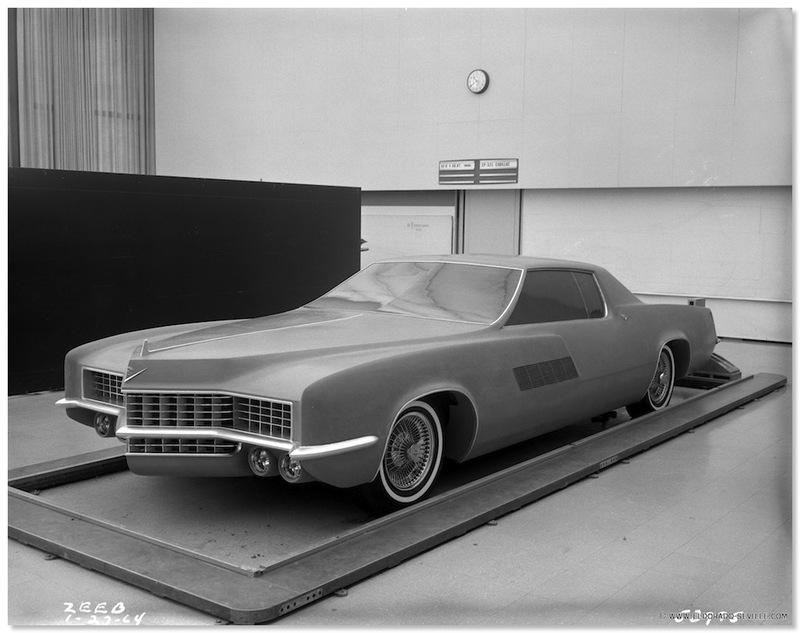 The 1967 Cadillac Eldorado originated in 1959, with experimental project XP-727, which underwent several rethinks through early 1962. 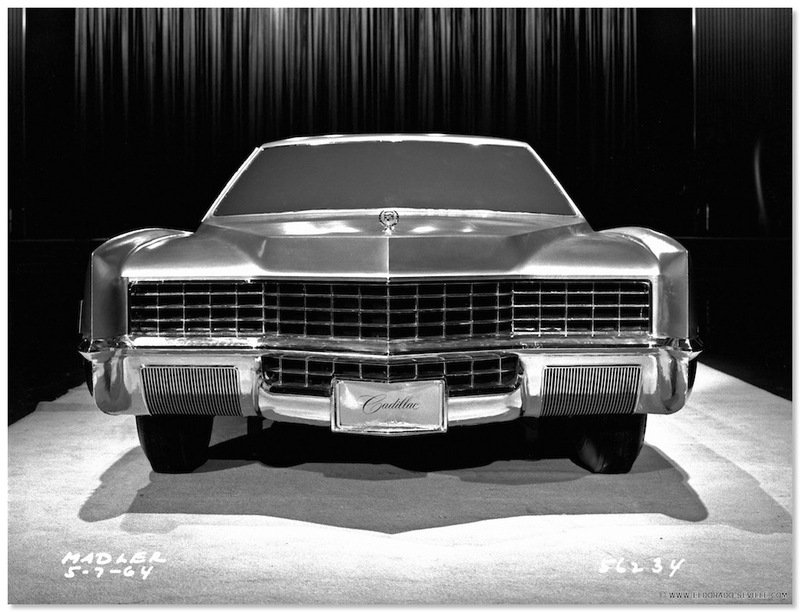 Management then settled on front-wheel drive for a new "personal" Cadillac, and further prototypes evolved with that in mind. 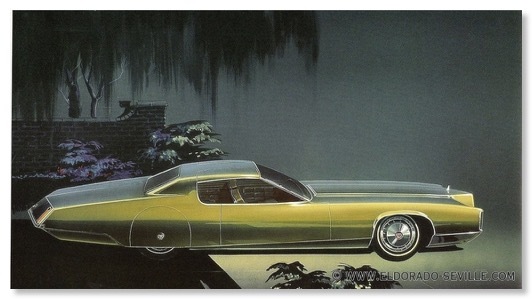 For a while, Cadillac considered calling the car LaSalle, but ultimately chose Eldorado as a name with higher recognition. 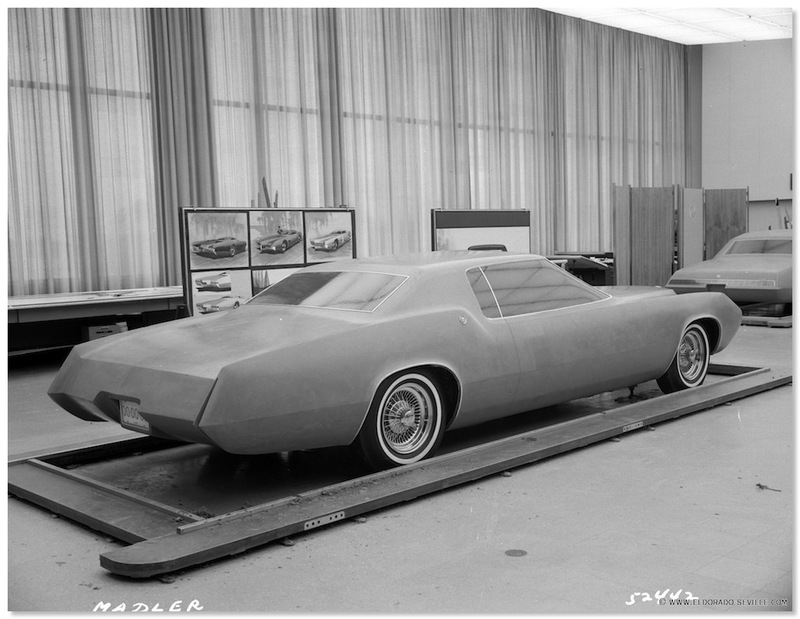 A clay model called XP-825, with razor-edge lines and formal roof treatment, was essentially the final production design. 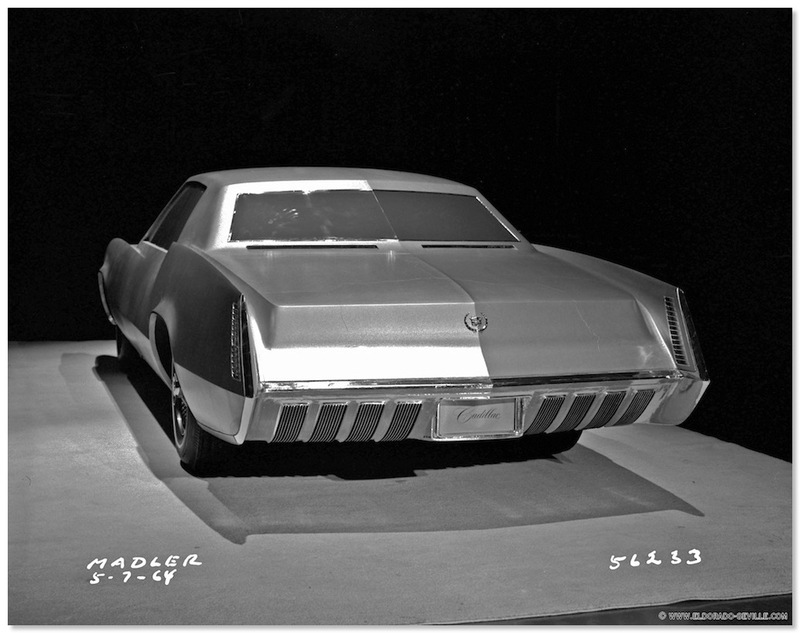 The clincher was the successful engineering effort toward what would be GM's first production front-driver, the 1966 Oldsmobile Toronado. 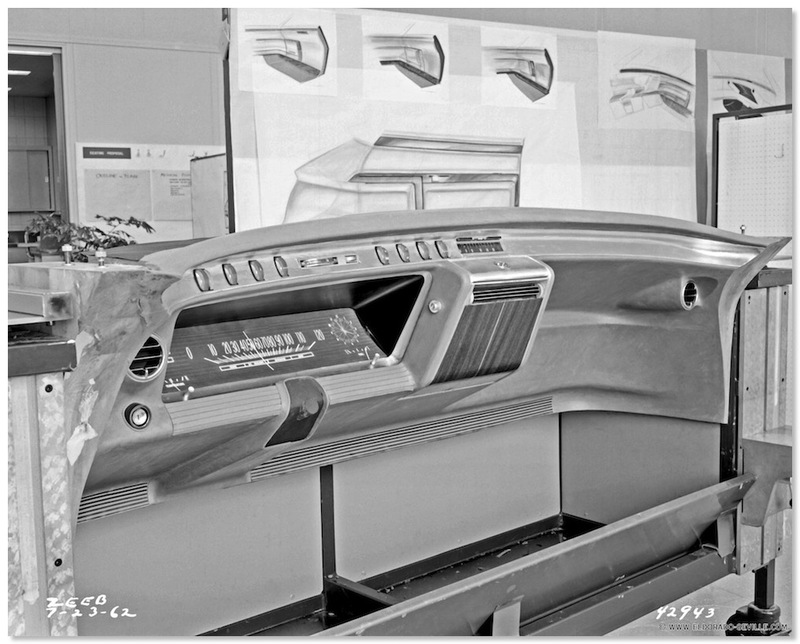 Engineering for both models was more or less combined by summer 1963, in project XP-784, but Eldorado styling originated in two separate programs: XP-820, begun in September, and the evolutionary XP-825, begun in December. The latter was production -- approved in May 1964, with shorter overhangs the major subsequent change. 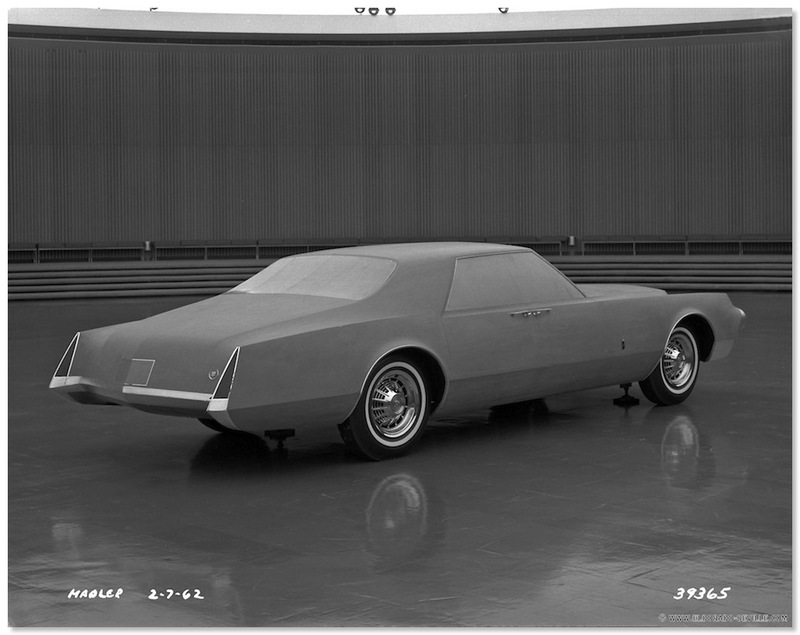 Unlike previous Eldorados, only a coupe was planned, with no evident thought of a convertible. Many prototypes and styling ideas were made for cars with 12 or 16 cylinder engines. It's unclear whether the clean-slate V-12 or the crude V-16 were ever seriously considered for production, but there's no doubt that development stopped at the prototype stage. 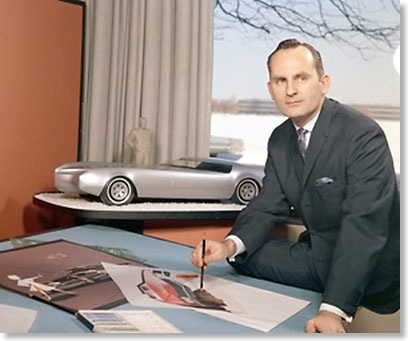 Still, Chuck Jordan and his colleagues came up with a remarkable group of design studies for a new multi-cylinder Cadillac. 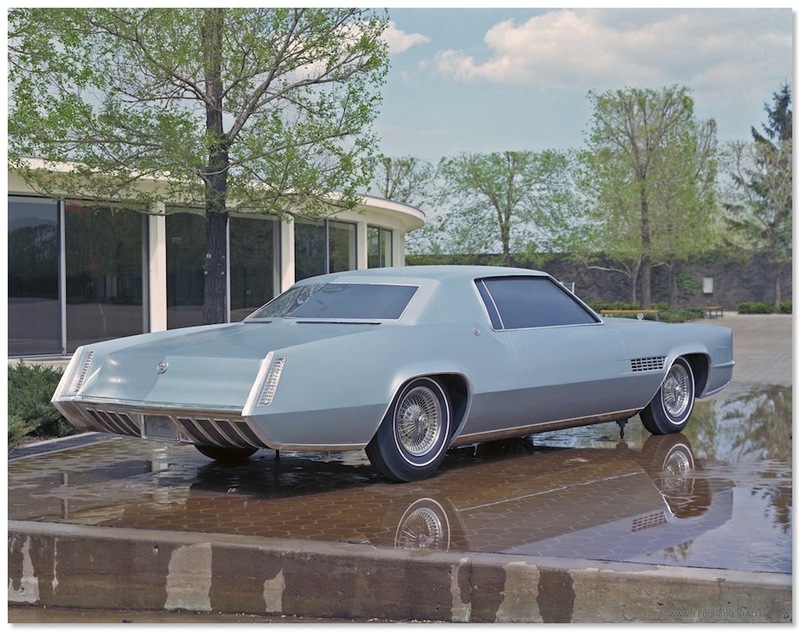 This radical 1960s Cadillac concept car was an August 1963 effort from Wayne Cady. 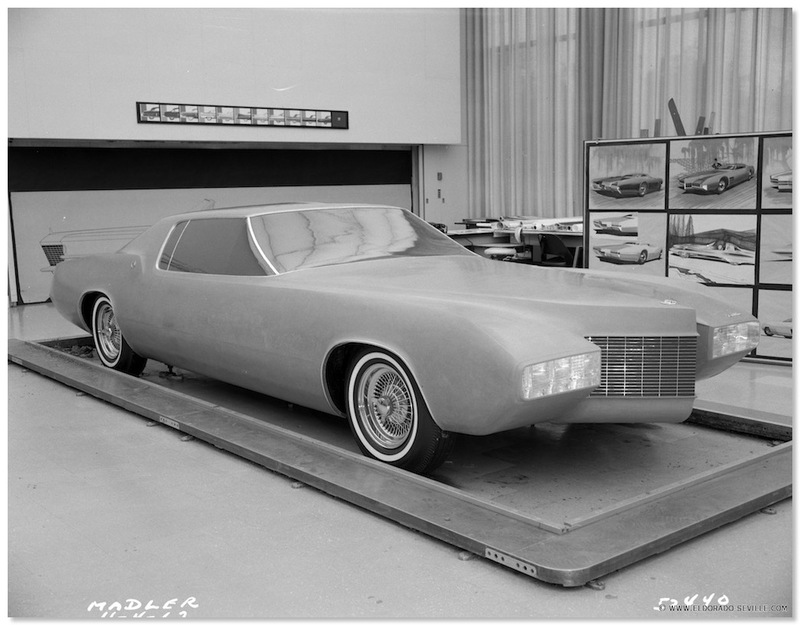 The nose of this scale model carries hints of the 1966 Buick Riviera. 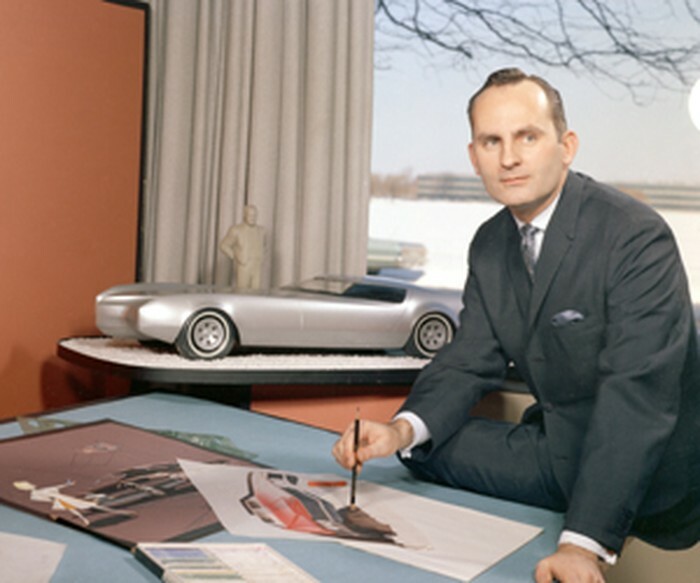 Later GM - design chief Chuck Jordan with the same concept car in the background. This was designed as a car with a V12 or even V16 engine. 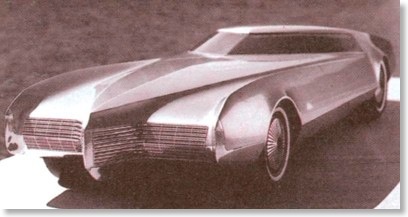 One of the styling sketches of the Eldorado. 1961 XP 727 - a 4 door car! - Development for this already began in 1959! 1961 XP 727 - note the suicide doors! 1963 XP-784 - Instrument panel! 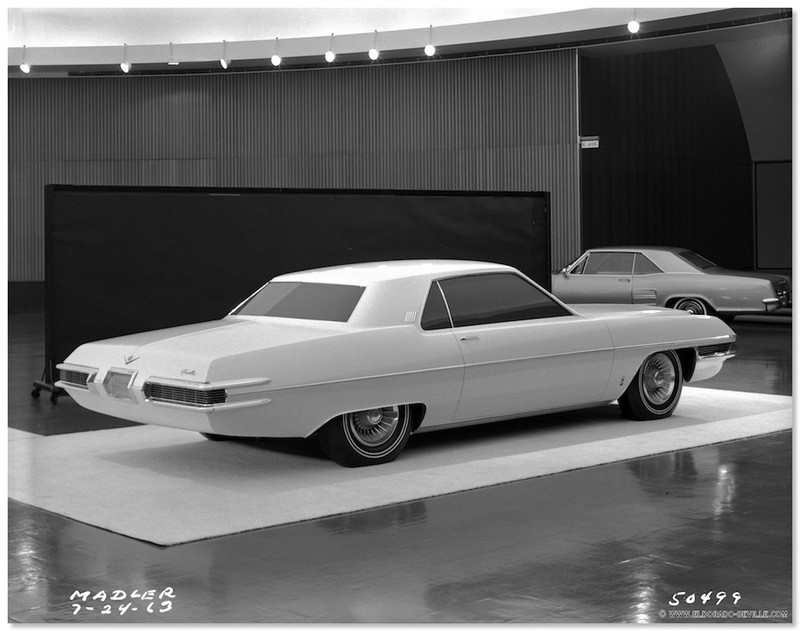 This V-12 hardtop coupe concept car was proposed in May 1963. 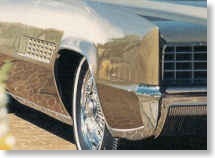 Its rear fender lines would show up in modified form on the 1967 Cadillac Eldorado. 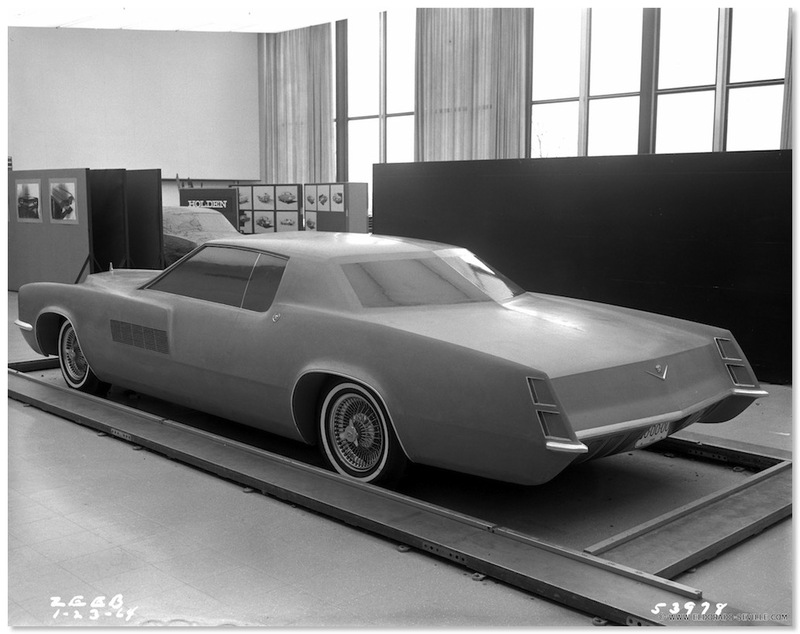 Early work toward postwar V-12 and V-16 Cadillacs produced this scale model, photographed at the GM Technical Center to look like a full-size car. 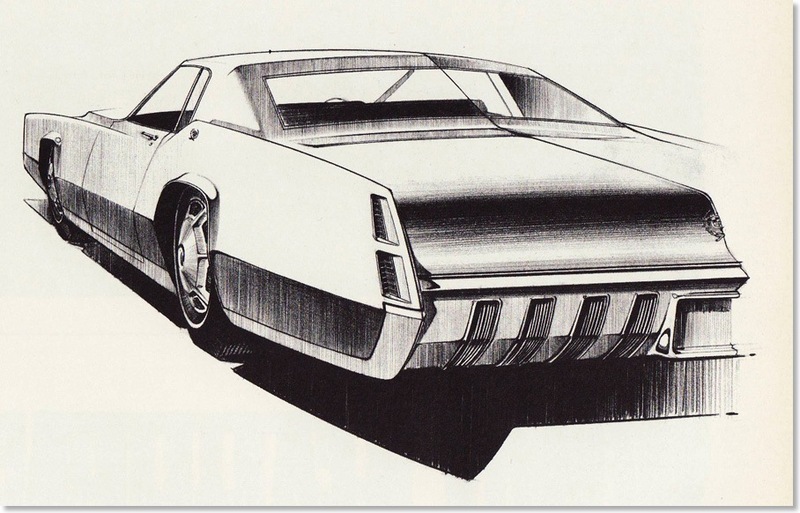 This circa-1963 concept drawing for an open V-16 Cadillac was reminiscent of classic 1930s speedsters. 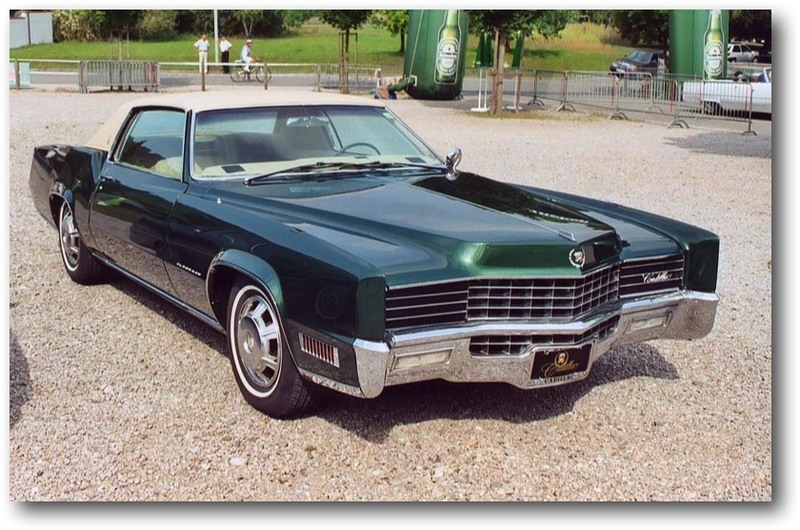 The new-generation Eldorado naturally inherited the Toronado's novel "split" driveline. This comprised a three-speed Turbo Hydra-Matic transmission mounted longitudinally beside the engine and driven from the flywheel by a Morse "Hy-Vo" inverted-tooth chain. Basic suspension was also shared: front A-arms, longitudinal torsion bars, and anti-roll bar; at the rear, a drop-center beam axle on single-leaf springs and four shock absorbers, two vertical, two horizontal. 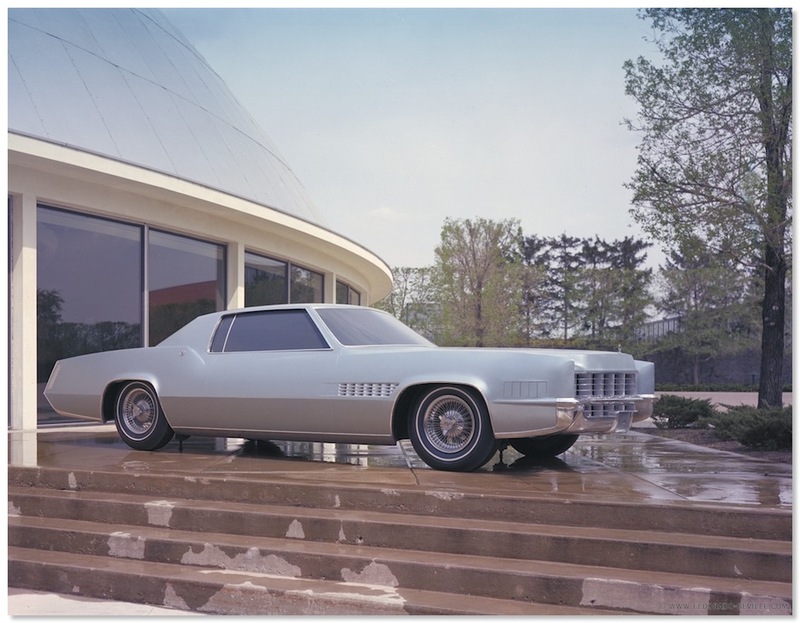 The 1967 Cadillac Eldorado thus rode better than the Toro, yet handled at least as well despite the same basic suspension (torsion bars, A-arms, and telescopic shocks up front; a beam axle in back on semi-elliptic leaf springs and four shock absorbers -- two horizontal, two vertical). 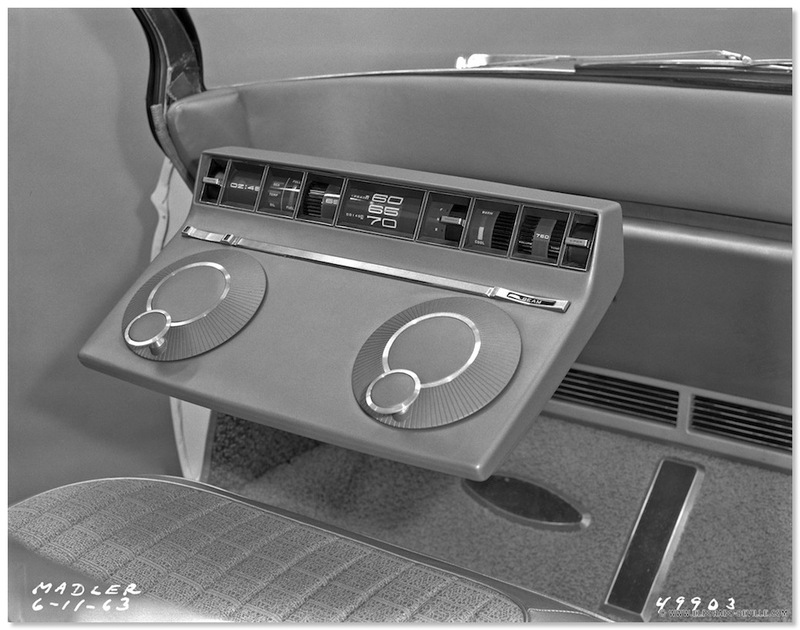 Two unique additions for the 1967 Cadillac Eldorado were self-leveling control, to keep the car on an even keel with a heavy load in the trunk, and optional front-disc brakes with radially vented calipers, a plus for dynamic safety. On its own relatively compact 120-inch wheelbase, the 1967 Cadillac Eldorado carried a base sticker price of $6,277. Marketing targeted it for 10 percent of Cadillac's total 1967 model-year production, about 20,000 units. The final figure was 17,930. It was described as a "sports-styled" automobile and the first car to combine front-wheel-drive; variable ratio power steering and automatic level control. 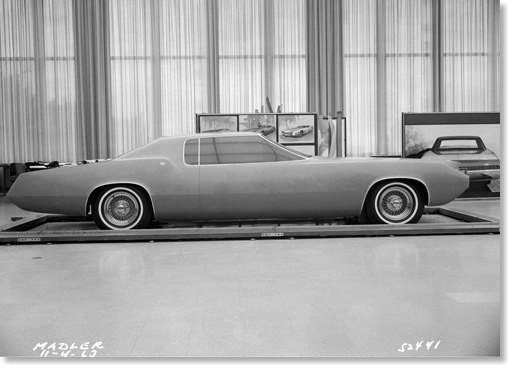 Built off the Oldsmobile Toronado platform, utilizing the same basic body shell, the Eldorado was shorter and lower than even the smallest Cadillacs, but could provide full six-passenger seating because of its drivetrain layout. The Cadillac V-8 was fitted to the platform with changes in the oil pan, exhaust manifolds, accessory and drive belt layout and motor mount system. It had dual exhausts, but a single outlet muffler and tailpipe arrangement. An improved fresh-air system eliminated the need for front ventipanes. 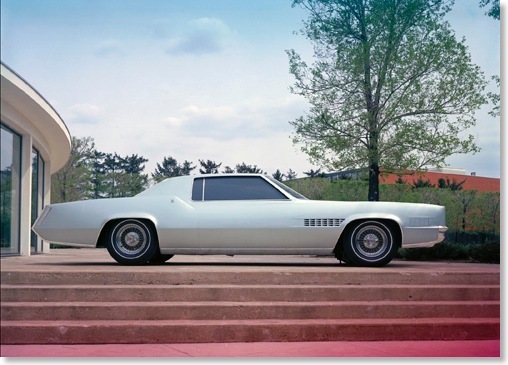 The Eldorado shared 1967 Cadillac technical changes such as Mylar-backed circuitry; bigger power brake booster; slide-out fuse box; improved automatic headlamp dimmer and braided rayon brake hoses, but was the only model in the line to offer front disc brake option. The typical assortment of Fleetwood extra equipment was standard on Eldorados as well. 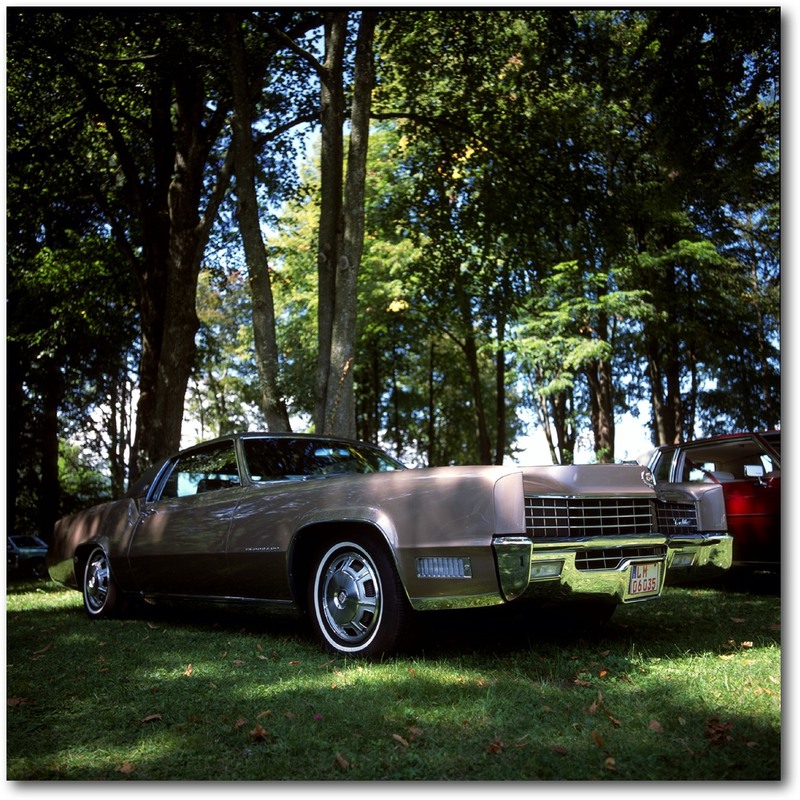 The Eldorado also differed in its inch-longer wheelbase -- 120 in all -- and unique suspension tuning. The latter included standard rear leveling and narrower, softer-riding tires, though the Cadillac handled at least as well as the Olds. 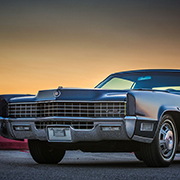 Indeed, the '67 Eldorado was the closest thing to a "driver's Cadillac" in years. Motor Trend found it could power through comers in utter safety. "The front tires will make a lot of noise, but the car will stick." It could also go: 0-60 mph in about 10 seconds, 0-80 in 15.3, 125-130 mph flat out. All this, plus "the traditional silence, comfort and luxury that buyers of this nameplate expect," as MT observed. That was more than enough to make the first front-drive Cadillac a first-year sellout. True, production was deliberately limited to about 10 percent of total division volume -- though it ended up slightly short of that at 17,930 -- but this was only to ensure exclusivity as well as high quality. 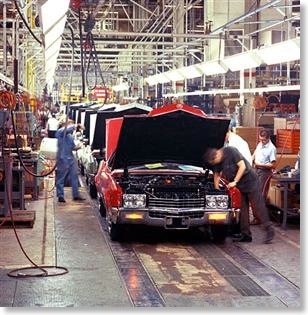 Abetting the latter was a special new one-shift Eldorado assembly line at Cadillac's Clark Avenue home plant in central Detroit, one reason the Eldorado bowed a year behind Toronado. 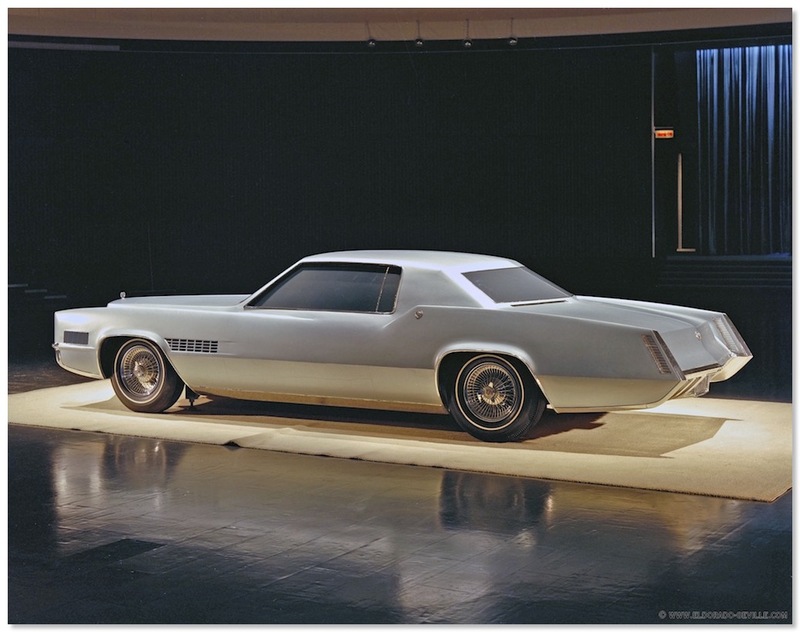 Other reasons included Cadillac's desire to improve on Oldsmobile's work -- and that the Eldo have its own moment in "the white light of publicity." Publicity it earned, from reporters who suddenly seemed to forget all about the year-old Toronado. Maybe they were dazzled by the elegant lines, the wreath-and-crest heraldry, or the $6277 base price (about $1500 upstream of that year's Toro). Whatever the cause, the newest member of the upper-crust Fleetwood family was almost universally praised. 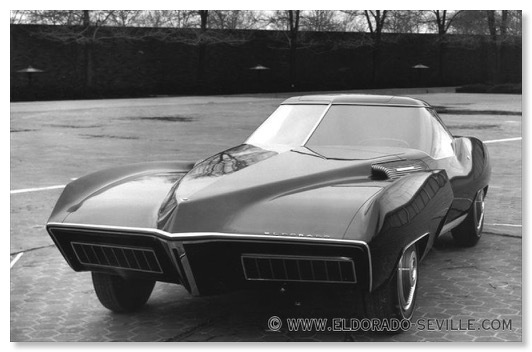 Automobile Quarterly gave the Eldorado its 1967 "Design and Engineering Excellence" award. Car Life declared it "beyond the scope of today's luxury/specialty concept ... the sort of visually distinctive, tastefully luxurious, enormously expensive, individualistic conveyance which characterized the Classic Era of automobile design." Cadillac simply called its new Eldorado the "World's finest personal car," while touting its "Elegance in Action." 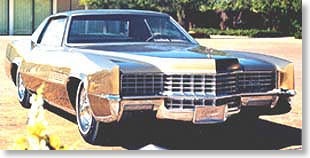 Priced at $6,277 (more than any DeVille, but less than a Fleetwood), the '67 Eldorado carried all the luxury equipment of a Fleetwood and, despite its two doors, had room for six passengers. 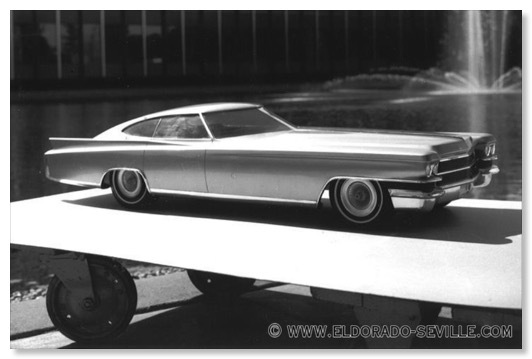 It was instantly the most popular Eldorado ever and sold 17,930 units that first year (only 2,250 '66 Eldorados were sold). It was a bold, confident step forward for Cadillac. 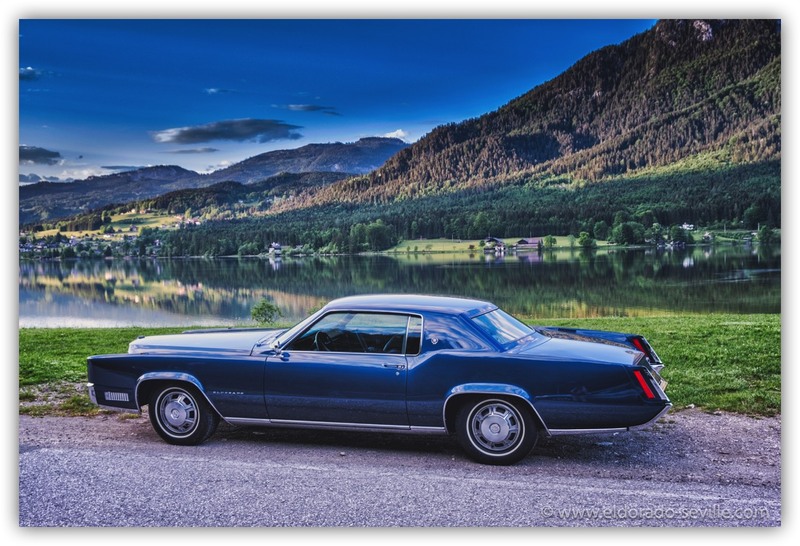 Creased like a tailored Italian suit, broad shouldered, wonderfully proportioned, and devoid of extraneous brightwork, the 1967 Cadillac Eldorado was a high point even in this heady period when GM styling as a whole set the pace for the American auto industry. 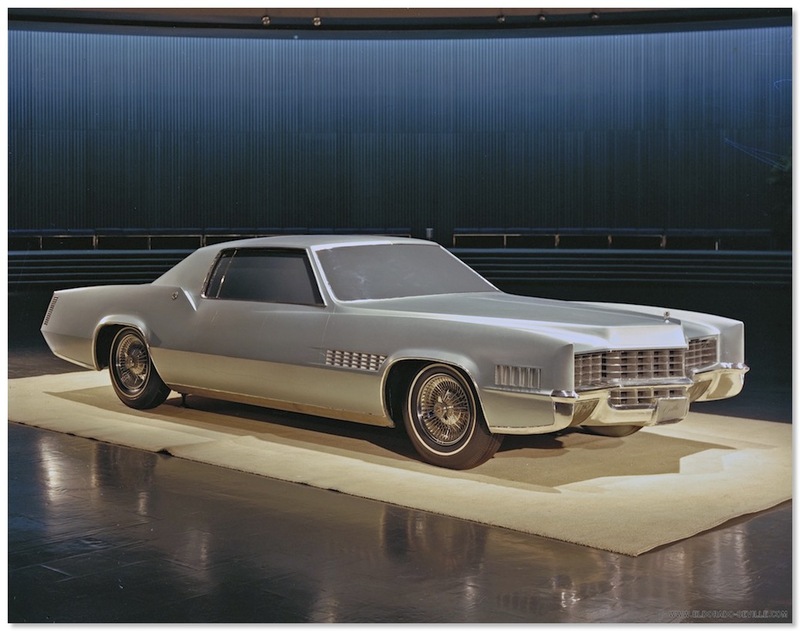 A technological tour de force, 1967 Cadillac Eldorado quickly established itself as the ultimate Cadillac. 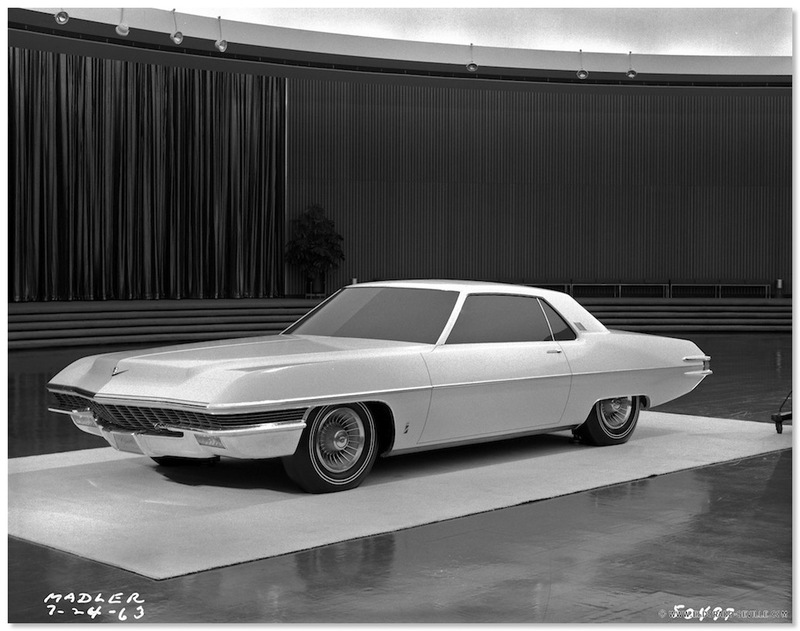 Unlike the Toronado, the 1967 Cadillac Eldorado was a very low-key announcement. This was typical of Cadillac, which used the one-year delay to improve on Oldsmobile's package. I had never heard anything about a sunroof in a 1967 Eldorado unfortunately and I could not give any information to him. This is Mark Bristols ultra rare 1967 Eldorado with ASC sunroof.